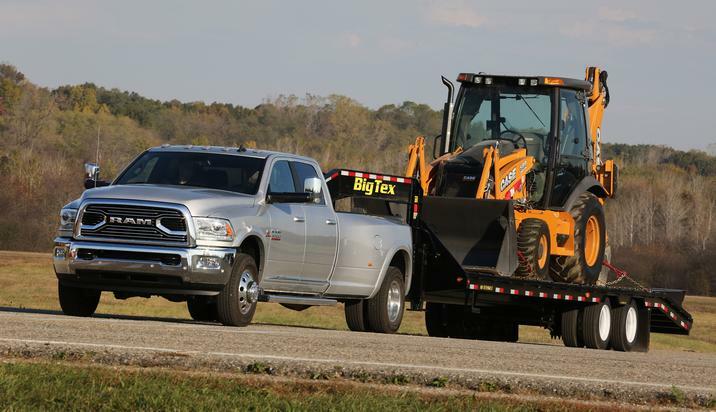 2017 Ram 3500 Wins Gold Hitch for the Heavy-Duty Segment! The Fast Lane Truck has given the 2017 Ram 3500 their Gold Hitch award for the heavy-duty segment! The process in which TFLtruck comes to the conclusion for which truck wins the awards is a harsh test. The editors take the chosen trucks to the Eisenhower Pass “Ike Gauntlet.” The pass is known for its grueling climb and reaches elevations more than 11,000 feet. This makes it the perfect place to really test out the capability of a truck. While the Ike Gauntlet is a major test for TFLtruck to determine award results, other factors matter as well. Comfort, design, and other such things matter and in all of these, that is where the 2017 Ram 3500 won in its segment. This entry was posted in Queens Bayside Chrysler Jeep Dodge, Ram, Ram 3500, Ram News and tagged 3500, Bayside Chrysler Jeep Dodge, Eisenhower Pass, Fast Lane Truck, heavy-duty truck, Ike Gauntlet, new truck, Ram, Ram 3500, Ram Trucks, tfltruck, truck news, used truck by baysideadmin. Bookmark the permalink.